Exercise and Sports Science in 2013. From there she went to achieve her Doctorate of Physical Therapy at Georgia State University in 2016 and has been practicing in the orthopedic and sport s rehabilitation setting upon graduation. Since then she has become certified in Myofascial Trigger Point Dry Needling and is an active member of the American Physical Therapy Association. 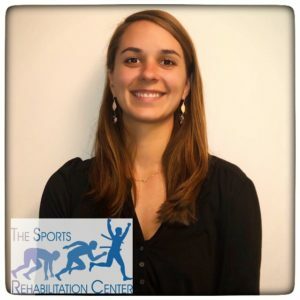 Sarah has experience and heavy interest in sports related injuries, post operative rehabilitation, overuse pathologies, and neurologically related diagnoses including stroke, balance dysfunction, Parkinson’s Disease, headaches, and traumatic brain injury. With hands on manual treatment and activity specific exercises, Sarah strives to return her clients to their individual goals with a positive, upbeat attitude. Outside of the clinic Sarah loves everything outdoors including backpacking, hiking, fishing, and kayaking. She has extensive experience in tennis and sand volleyball and continues to be actively involved in leagues throughout the year around the city of Atlanta.